High on my list of classroom (& life!) priorities is the ability to work well with others and use teamwork to achieve a common goal. 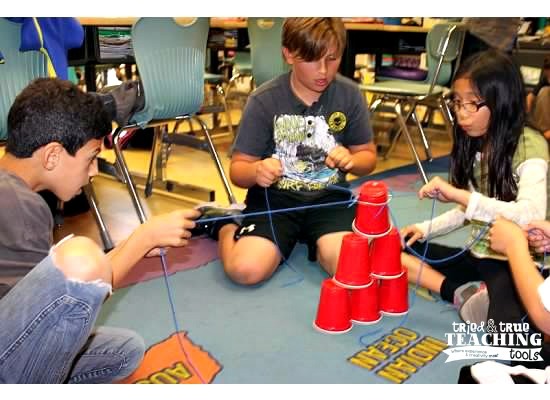 Great for the beginning of the year, The Cup Challenge takes minimal prep time and is a perfect for building community!! Divide students into groups of 4. 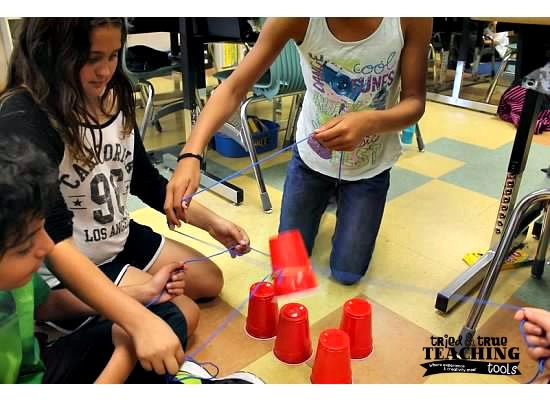 Give each group 6 large plastic cups, a rubberband, and 1 piece of yarn or string 12”-18” long. Demonstrate how to tie the string to the rubberband, forming 4 corners. This will be used as a tool, as each student pulls their yarn, stretching the rubber band larger. The group sets up their 6 cups: 3 mouth down and 3 mouth up, balanced on each other. 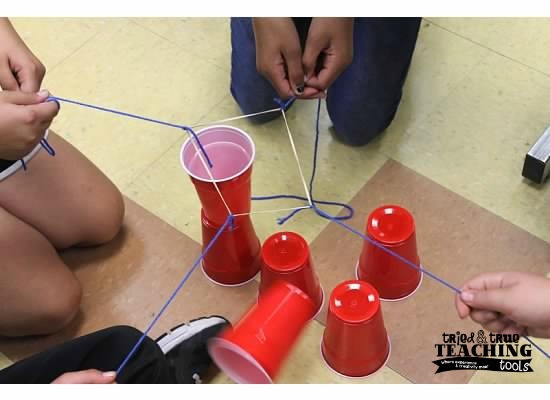 The goal is for students using only their rubberband-yarn tool (no hands) to move the cups into a pyramid (base of 3 cups, 2 cups, 1 cup on top). Teams must use synergy for this to work! Not only was this lesson so interesting (and entertaining!) to watch, but observing which groups actually worked together to be successful was eye-opening! One group built their pyramid so quickly, that I gave them 10 cups to build their pyramid (4-3-2-1)! 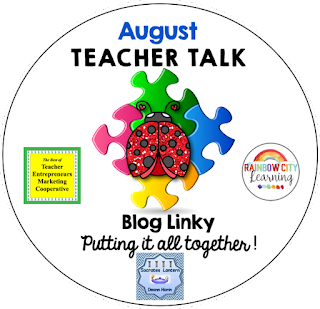 A fantastic discussion on synergy followed this Cup Challenge! Working together (or not) was very evident in certain groups; but they all now understand this necessary skill! 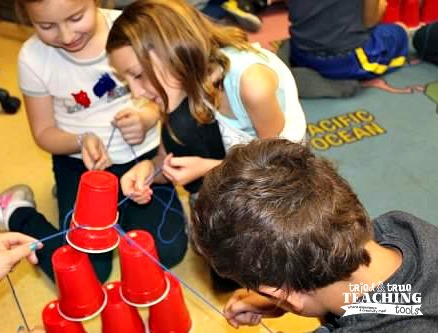 How do you teach teamwork? 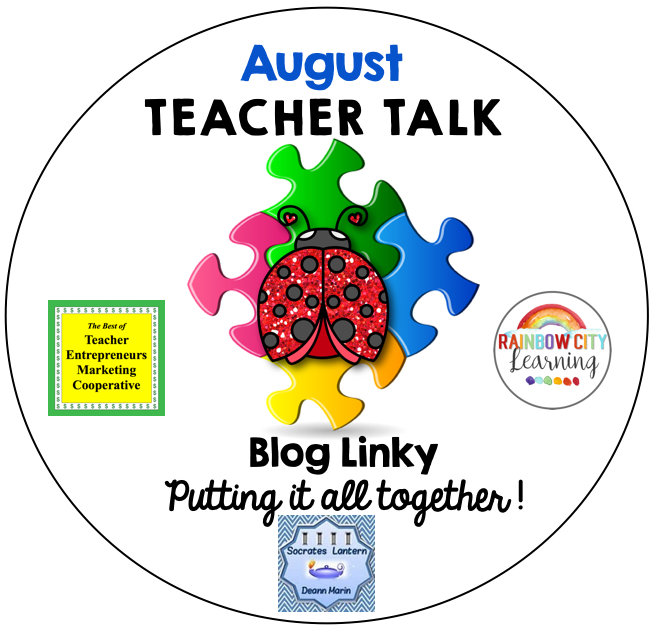 I can't wait to use this lesson during the first week of school! This cup challenge is a blast & it's no-prep! Let me know how it goes!